We first met 16 year old musical wonder Katie Buchan in this interview by Gemma Dietrich a few months ago. 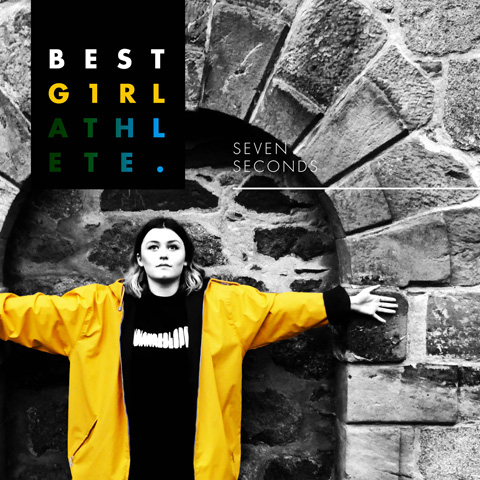 As Best Girl Athlete gets set to release her delicious new single, we are pleased to premiere the accompanying video below… Katie explains more. The video for Seven Seconds came about through a project with the British Film Institute which put industry professionals together with young people to produce a music video. It was pretty cool to find out that Jim Brown, the producer who worked with me on the video, had previously worked on a James Bond and Superman film as well as making a video for George Michael! Seven Seconds is probably the most up tempo and poppy song on the album, despite its lyrics. The song can be interpreted in different ways but it’s basically about missing someone and having barriers preventing you being together. The video obviously reflects this with me searching for someone after finding all the photographs. I am actually going through something like that at the moment so the song is especially resonating with me. The track was actually a good bit longer originally and had to be cut down as it had three very different parts to it which gave it a feel of having three different songs in one. I like that idea but it doesn’t make for a very good single! My dad plays the guitar on the track and he won’t mind me saying that the instrumental outro is loosely based on the guitar part from the Chic song ‘Good Times’. I think he’s quite proud of that actually, haha! Seven Seconds is out on 27th June via Fit Like Records.